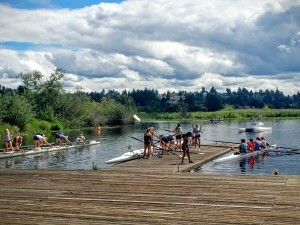 The 9th Seat rowing camp wraps up hard days practice. 2008 Olympic champions Anna Cummins, Anna Goodale, Mary Murry, and Lindsay Shoop. The 9th Seat campers going for Gold Medal Health and rocking the spinal hygiene exercises. 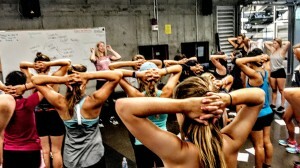 Healthy spine and nervous system makes for optimum performance! 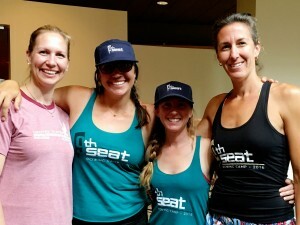 Three-time Olympian Mary Whipple Murray ran an outstanding rowing camp for young women from around the world at the University of Washington’s Conibear Shellhouse this week. Working with Olympic champion coaches, these young athletes achieved their goal of bringing strong leadership back to their home teams. Cummins Chiropractic’s Anna Cummins was honored to share the vision of Gold Medal Health with these young athletes and plant the seed of living for the next 60, 70, 80 years and beyond at their highest health potential. Anna shared the benefits of self care, the goal to increase one’s gap in overcoming stress and on healthy posture protecting their spine and nervous system. Best wishes to the coaches and campers at the 9th Seat as they head home to reach for their ideal 100 Year Lifestyle and bring home Gold Medal Health!